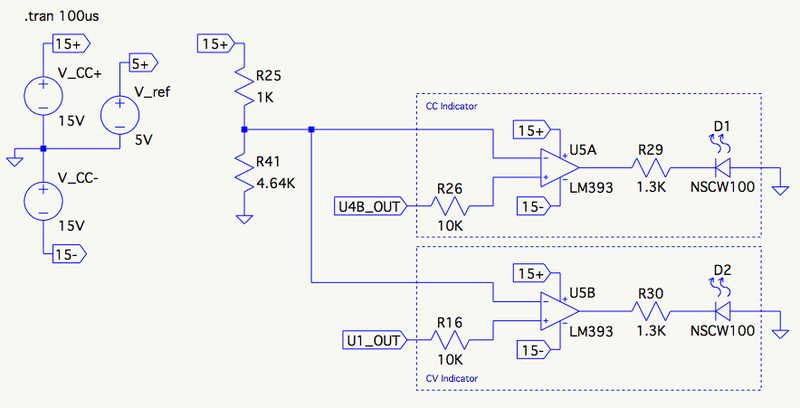 Why add resistor on comparator input? My question is: What purpose is served by the 10kΩ resistor (R26, R16) on the non-inverting input to the LM393 comparator? The circuit operation is pretty straightforward. When the constant current error amp (U4B) is controlling the pass device, it's output voltage is around -1V. When the constant voltage error amp is controlling the pass device, the constant current error amp output jumps up to near the positive rail, say 14V in this case. The inverting input to the comparator (U5A) is set at around 12.3V. So the LED comes on when the constant current error amp is in control. The thing I don't get is why a resistor is required between the error amp (LM442 op amp) and the comparator input. The input impedance of the LM393 is megohms, isn't it? What difference would an extra 10k make? The only hypothesis I have is that I understand from the datasheet that if one of the inputs is driven more than 0.3V more negative than the negative supply, that as much as 50mA can flow out of the input pin. So I suppose this might be a safety precaution; but I can't work out what anticipated condition would drive that voltage down that far since it uses the same supply rails. So that possibility isn't making much sense to me. Can anyone help me understand why the design engineer might have added these resistors? Here is the schematic of op Amp LM393. You see the internal diodes on input stage. You have to use external resistors in series to the input for limiting the internal diode currents. Otherwise your accuracy will decrease. Not the answer you're looking for? Browse other questions tagged power-supply analog comparator or ask your own question. 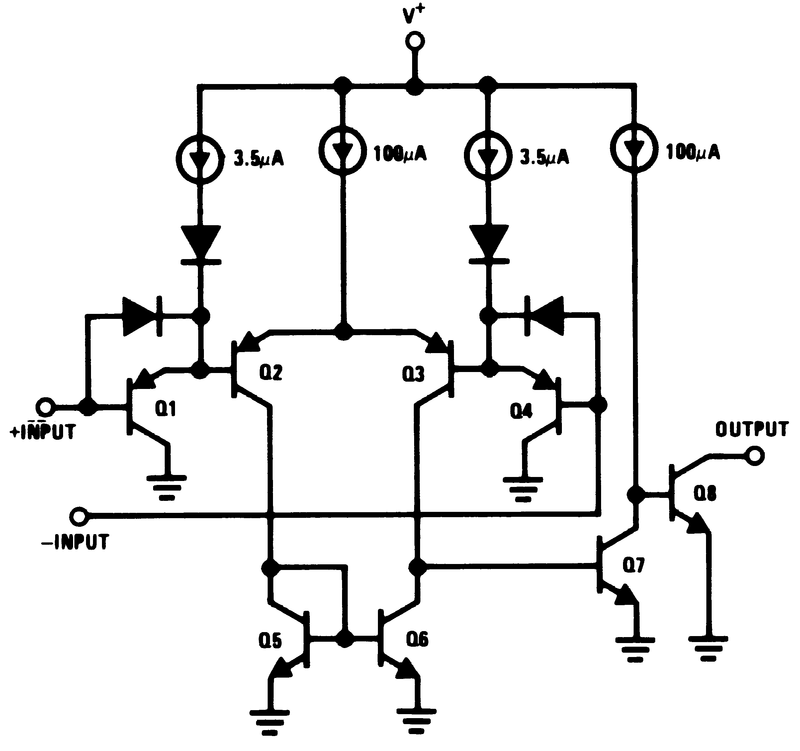 Why sample current via lopsided resistive divider? Why is there a capacitor in the feedback path of a comparator, why is there a resistor on the input?